LaBella's Fine Wine & Spirits « Greenwich's Premier Wine & Spirits Shop, located in the heart of Greenwich. 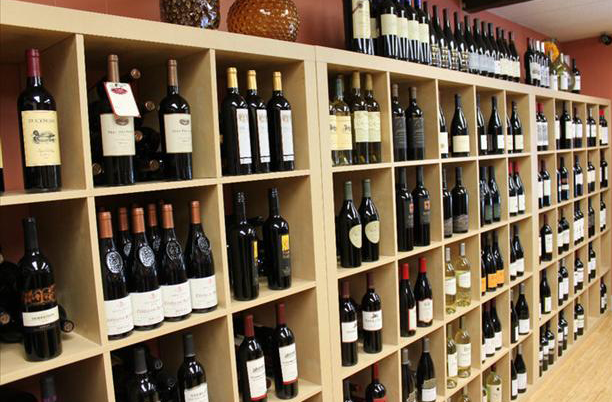 Greenwich's Premier Wine & Spirits Shop, located in the heart of Greenwich. Welcome to LaBella’s Fine Wine & Spirits! Owners and wine aficionados Mauricio & Kimberly Zapata opened La Bella’s Fine Wine & Spirits in the Summer of 2010, with a vision of creating Greenwich’s finest wine store. Mauricio, originally from Greenwich, has been in the wine & liquor industry for over 20 years. Over those years, he has had a chance to develop his palate by enjoying some of the world’s finest wines. This has given him an edge over the rest of the industry and allowing him to help his customers. Kimberly, originally from Stamford, previously worked for one of the top liquor distributors in the country. Her understanding of market trends, customer needs and marketing tactics has proven beneficial for their store. She loves to decorate the store for each holiday, offer free, stylish gift-wrapping and create personalized gift baskets. Together, Mauricio and Kimberly make an excellent team. They strive to provide an inviting atmosphere with superior customer service, knowledge and a wide selection of products for their customers. So far, critics and patrons agree… La Bella’s Fine Wine Spirits has become Greenwich’s best wine & liquor store. Enter your email address to follow LaBella's and receive notifications of new posts by email.